Glasses: the New Political Tool? Dry Eye Syn­drome has made its way to the fore­front of chron­ic eye dis­ease in the past few years (thanks in part to new eti­o­log­i­cal dis­cov­er­ies yield­ing nov­el treat­ment strate­gies — and the ever-aging pop­u­la­tion). How­ev­er, I have very few patients actu­al­ly com­plain of their eyes feel­ing “dry”. 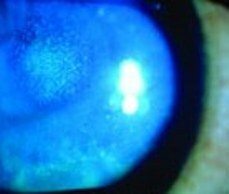 Most patients with dry eyes will com­plain of excess tear­ing, or watery eyes. This is an inter­est­ing phe­nom­e­non known as “para­dox­i­cal tear­ing”. Here’s a sim­ple step-by-step expla­na­tion for how this hap­pens: A patient’s tears don’t func­tion prop­er­ly — The ocu­lar sur­faces get dry — The eyes and brain react by secret­ing more tears — These are the type of tears secret­ed when a per­son yawns or cries (the type that “run”). In short, the first sign of a “dry” eye is usu­al­ly a “wet” eye. In most cas­es, we are able to restore a patient’s nat­ur­al tear phys­i­ol­o­gy and/or help him or her make more of the cor­rect kind of tears, along with their cor­rect com­po­nents. The key to this is an ear­ly and accu­rate diag­no­sis, as there are sev­er­al “fla­vors” of Dry Eye Dis­ease out there — each one treat­ed a bit dif­fer­ent­ly from the oth­ers.